We sell a lot of different kinds of tarps here at Mytee Products. 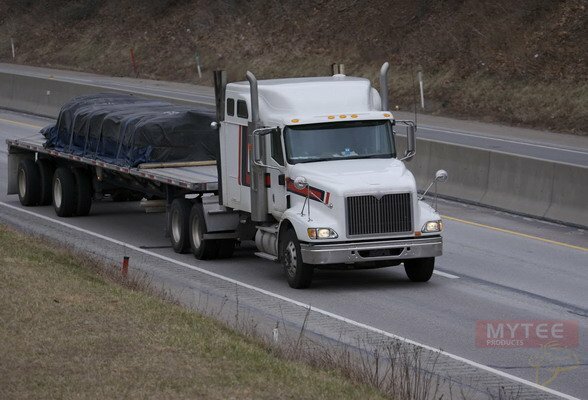 Most of our inventory centers around the trucking industry and its needs, but we also sell a number of other tarps for general utilitarian purposes. We have recently expanded our inventory, and with that have the opportunity to explain the uses of specialized tarps that are vital for the areas they service. Three of the specialty tarps we now offer are described in this post. Mytee Products is the source for all kinds of tarps, whether you are a trucker or a homeowner in need of something more than you can get at your DIY home improvement store. The first specialized tarp on our list is the bee hauling tarp. It is also known as a nursery tarp in some circles, but we focus on bee hauling given that our target customers are flatbed truckers. What makes this tarp so special is its breathability. A trucker can cover a load of beehives with one of these tarps in order to make sure none of the critters escapes during transport. At the same time, moisture and air flow freely between tarp and load. A bee hauling tarp is designed a lot like a lumbar tarp in terms of its shape. It has an elongated top, two side panels, and a rear panel to close up the back of the load. When used in concert with a bulkhead, the tarp completely encloses the hives so that bees do not escape. As a side note, these are great tarps for transporting nursery products as well. From larger plants to shrubs and small trees, they benefit from the same moisture and air flow bee hauling requires. The second tarp on our list is not necessarily for truckers only. It is the demolition tarp. It is made of heavy-duty, 18-ounce vinyl and includes polyester webbing and eight reinforced lifting points complete with O-rings. If you haven’t figured it out yet, these tarps are designed for construction projects. However, we are talking demolition rather than material protection. Lay out one of these tarps prior to demolition and you have an instant debris removal system. Just pile the debris on top of the tarp. When it’s full, connect it to a lifting system via the built-in O-rings. All the trash is gathered together as the tarp is lifted and placed on the back of a waste truck or into a dumpster. Finally, our third specialized tarp is known as the parachute tarp. 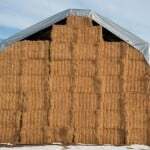 It can be used for a variety of loads in the same way steel and lumber tarps are used. The advantage of this tarp is its extremely low weight. The parachute tarp can be up to 40% lighter than comparable vinyl tarps. Equally impressive is the fact that the parachute material is tougher than vinyl. 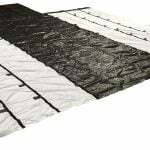 These tarps are ideal for flatbed loads that are difficult to cover without walking on top. Their lighter weight can eliminate the need to climb up in some cases. And because the material is tougher than vinyl, there are fewer worries about rips and tears. Parachute fabric is just a better choice for some loads. Mytee Products has every kind of tarp you will ever need. From truck tarps to the utility tarps you might use at home, we have them all. We invite you to take a look at our inventory; we probably have just what you need. And if not, please contact us anyway. We still might be able to find what you are looking for.